It’s time to stop suffering! 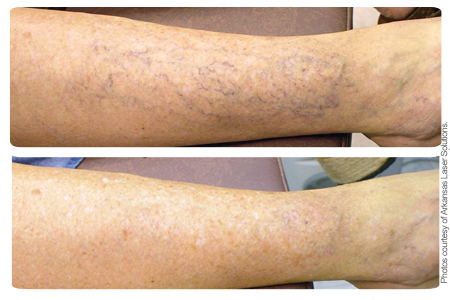 Let Premier Laser Care rid you of those embarrassing vericose veins, port wine stains, rosacea and vascular lesions. Laser (light) energy is selectively absorbed by the oxyhemoglobin, resulting in heating of the blood vessels. Blood vessels will then break down and shrink, which leads to a reduction of the vascular lesion.